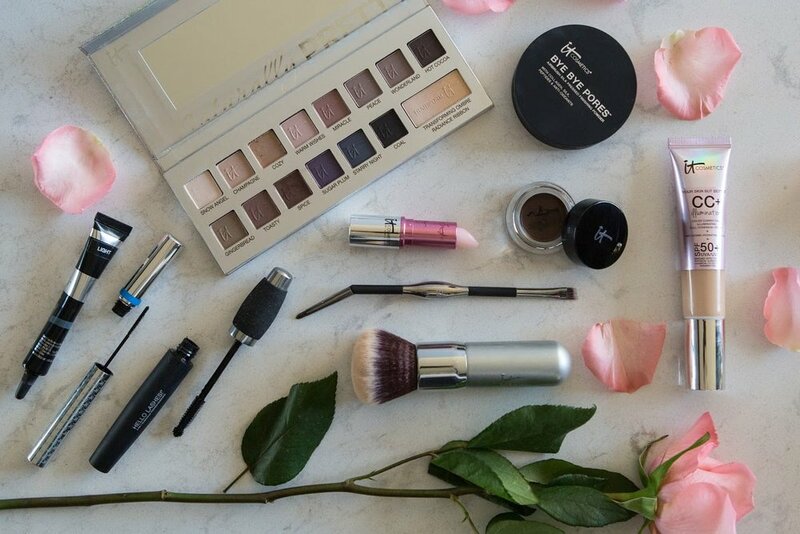 It's no secret around here that I am a beauty addict! Every time a new product comes on the scene, I can't resist trying it out. There are hundreds of products in my makeup drawer (let's be honest, at this point its more of a makeup room than a drawer! ) but only a few that have proved valuable enough to be repurchased over the years. A few weeks ago I was cleaning out my makeup collection and realized that several of the products I've loved, used, and consistently repurchased over the years happen to come from one brand, It Cosmetics. It Cosmetics (the 'IT' stands for Innovative Technology) is a cruelty free line of color cosmetics for the face and body. They work with leading plastic surgeons and dermatologists, utilizing clinically proven anti aging technologies and high performance ingredients, to create products that solve even the biggest beauty problems. I first became acquainted with the brand in 2008, when I was still competing in pageants. At the time, many of their products focused on using contouring techniques to make the body look more toned. They were great for the swimsuit competition, but required too much effort to be used regularly. Their product range has expanded dramatically since then, and is filled with highly effective products for everyday use. My favorite product from the line, and the one I've been using the longest, is the Bye Bye Under Eye Anti Aging Concealer. Dark circles are my biggest beauty woe and this concealer makes them disappear completely. It is highly pigmented ( a little bit goes a long way) yet easy to blend. I love that it never dries out my under eye area and that it lasts all day long, even through a day at the beach! The CC+ Cream Illumination SPF 50 is a great everyday foundation I picked up earlier this year. I used to use the Smashbox HD Foundation, it was my all time favorite because it gave me flawless coverage without looking like I was wearing makeup. They discontinued it in 2013 and I've been trying to find something similar ever since! The CC+ Cream Illumination is the closest thing I've found. It is easy to apply, wears wells, and provides great coverage without using too much product. The glowy finish of the CC+ Cream is slightly less natural than the Smashbox HD but it is still very wearable. I've recently ordered the non illuminated version of the CC+ Cream and am hoping that it will be the perfect dupe. Nonetheless, this is my favorite everyday foundation. I didn't use powder for several years because I've always preferred the look of dewy skin over a matte complexion (dewy skin is more youthful and better for hiding flaws). When I moved to Hong Kong, the humidity turned my face into a complete oil slick-yuck! 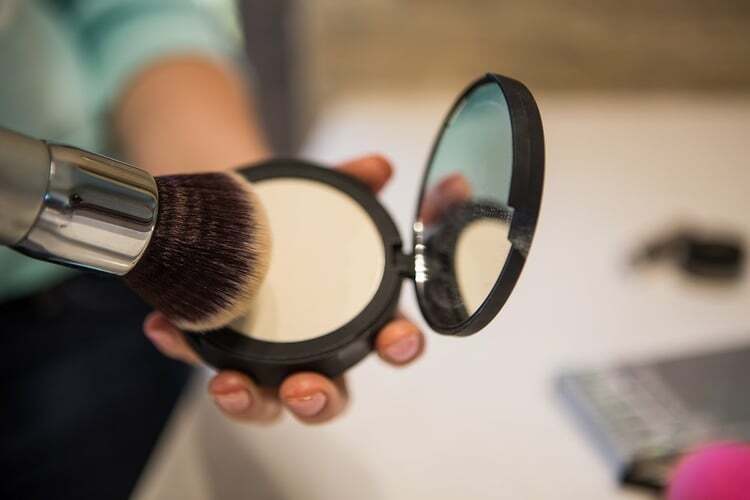 I tried several powders but stopped using all of them when I discovered the Bye Bye Pores Pressed Powder because I'd finally found a powder that didn't discolor my foundation or spill all over my makeup bag (pressed is so much better than loose!). I apply it using the Heavenly Luxe Wand Ball Powder Brush #8 , I don't know how, but it really does make my pores disappear! The Vitality Lip Flush 4-in-1 Reviver Lipstick Stain is a relatively new addition to my makeup bag. I purchased it after seeing how beautiful it looked on several of my favorite YouTubers. The Vitality Lip Flush is formulated with ingredients like Plum Oil, Argan, and Jojoba, that moisturize your lips, giving them a plumper appearance. It come in six different colors but they work on all skin tones because the ingredients blend together to enhance, rather than cover, the natural shade of your lips. I've talked a few friends into picking this up and they've all agreed its the most soothing lip product they've ever used. One of my goals for this year is to improve my packing skills, which requires lightening up my makeup travel bag. The Naturally Pretty Celebration Matte Luxe Transforming Eyeshadow Palette has made it easy to streamline my beauty routine. While I've tried packing with palettes before, I always felt overly limited. The Urban Decay Naked Palettes are good, but the ratio of shimmery to matte eye shadows isn't preferable and I always ended up packing a few individual Matte shadows to balance it out. The Naturally Pretty Palette is great because it contains an equal ratio of cool and warm tone neutrals, all in Matte shades, with one shimmery shadow that can add something extra to any of the colors, when desired. The shadows are highly pigmented, I notice very little fall out when I wear them, and I feel I can create nearly any look with this palette. This is a limited edition palette and is only available through the It Cosmetics site (www.itcosmetics.com) so hurry up and grab it while you can!